Mac OS X comes with built-in encryption utility. You can use it to encrypt any file by creating a new virtual encrypted disk. 1. Open "Disk Utility" (Applications > Utilities). 3. Enter the name of a disk, for example, "Encrypted disk", select disk size (for example 40 MB, if that’s enough for your files), select AES-128 (recommended) encryption, and click "Create". Now you can double-click this disk image to mount it and view and edit files inside it. 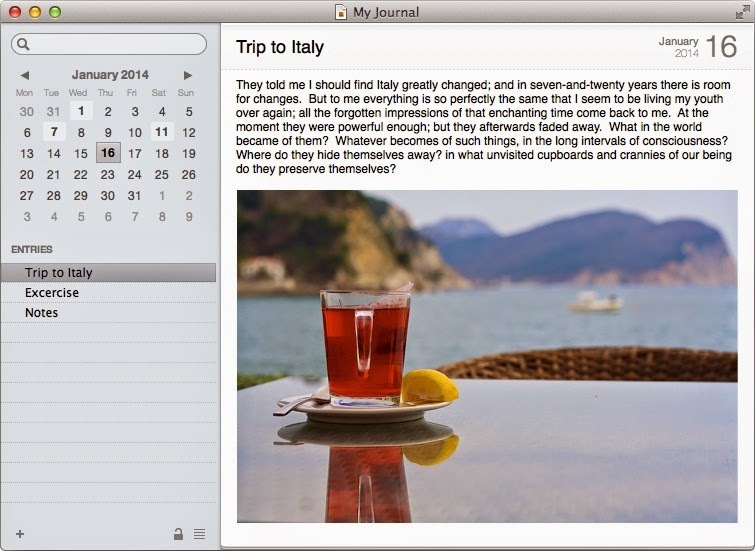 If you're looking for an easier way to encrypt your journal, Mémoires application supports it out of the box.